China will inaugurate the longest sea bridge in the world this year. The bridge connects Hong Kong and Macau with mainland China. It is 55 km long and six lanes wide. The bridge was built to reduce the journey time to just about an hour long. The 55 km long bridge has four tunnels and four artificial islands. It is built by experts from 14 different countries. Authorities are expecting close to 40,000 vehicles to cross the bridge on a daily basis, which will include shuttle buses running 10 minutes apart. This bridge is one of two major infrastructure projects set to open in the region this year — the other is a high-speed rail link to China. US and South Korea kick off military exercise. South Korea started their annual joint military exercises with the United States after a month’s delay. The Winter Olympics and to help create conditions for a resumption of talks between North and South Korea were the reasons for the delay. The Foal Eagle field exercise, which usually involves combined ground, air, naval and special operations troops, will continue for a month. The computer-simulated Key Resolve will be held for two weeks starting in mid-April. The two joint drills will involve about 23,700 U.S. troops and 300,000 South Korean forces. Kim Jong Un and South Korean President Moon Jae-in are widely expected to discuss de nuclearization of the Korean peninsula and improvement of inter-Korean relations at the summit. Check out the latest trending business Current Affairs April 1 updates by reading the news. NHAI awarded projects worth Rs 1.22 lakh crore. The National Highways Authority of India (NHAI) announced it has awarded projects worth Rs 1,22,000 crore for constructing about 7,400 km of highways in 2017-18. In Financial Year 2017-18, NHAI has awarded 150 road projects worth Rs 1,22,000 crore. In last 5 years, the average length of road projects awarded by NHAI was 2,860 Km with 4,335 Km awarded in the last financial year,” it said in a statement. The projects awarded include 1,234 km in Rajasthan, 739 km in Maharashtra, 747 km in Odisha, 725 km in Uttar Pradesh, 511 km in Tamil Nadu, 504 km in Andhra Pradesh, 468 km in Karnataka, 449 Km in Gujarat. 389 km in Madhya Pradesh, 331 km in Haryana, 232 km in Bihar, 201 km in Jharkhand, 189 km in Telangana, 126 km in West Bengal, 120 km in Punjab, 100 km in J&K and balance in other states. 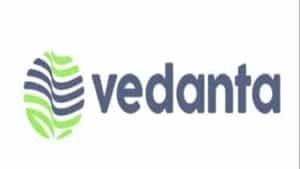 Vedanta Group acquires Electrosteel Steels Ltd.
Anil Agarwal led Vedanta group has won the bid to acquire Electrosteel Steels Ltd through an insolvency process under the bankruptcy code. Market sources said the offer is likely to be around Rs 5,000 crore for the bankrupt steel firm which is in debt for close to Rs 11,300 crore. The closure of the transaction will be subject to compliance with applicable regulatory requirements and as per the final terms approved by the National Company Law Tribunal. The resolution professional had received bids from Vedanta, Edelweiss Alternative Asset Advisors, Tata Steel and Renaissance Steel in January this year. On July 21 last year, the NCLT had admitted State Bank of India’s (SBI) insolvency petition against Kolkata-based Electrosteel Steels. Current Affairs April 1 is bringing you with Records, titles and other updates from the world of sports. ISL champions Chennaiyin FC knocked out of Super Cup Football tournament. Former I-League champions Aizawl FC knocked out reigning ISL champions Chennaiyin FC 5-3. Aizwal FC defeated Chennai via tie-breaker of the pre-quarter final encounter of the Super Cup Football tournament. The teams had tied 2-2 at the end of 120 minutes. Romanian Andrei Ionescu scored twice for Aizwal while Chennaiyin strikers Brazilian Mailson Alves scored in the 89th minute of the regulation time and then Dhanachandra Singh in the 114th minute. During the tie-breaker, former India player Mohammed Rafi missed the second penalty for Chennaiyin FC while Aizawl were on target with all their five shots. Zaheer Khan to be an analyst for the Cricbuzz for IPL 2018. India’s No. 1 digital platform for cricket, Cricbuzz, announced the launch of Cricbuzz Live. It is an analysis show for the upcoming Indian Premier League 2018 season. Analysis by top cricket experts and anchors will be available for the website’s users. They also get to enjoy over 150 live shows of pre-match, mid-innings and post-match analysis. Harsha Bhogle will continue to be a part of Cricbuzz’s expert panel. Bhogle has been the face of the website’s video offerings for the last 18 months. Former New Zealand pace man and commentator Simon Doull, former England captain Michael Vaughan and former KKR team director Joy Bhattacharya make the others. Candidates hoping to get Government Jobs can get more details about the Current updates from above links. You can read some latest Current Affairs, and attempt Current Affairs Quiz which helps you to crack various Competitive Exams. Make use of our Current Affairs April 1 and current affairs India 2018 for better scoring in exams. Users will be benefited with the free month wise Current Affairs PDF and Updates available for download. The Free Quizzes & GK Questions available in this Affairs Section will benefit all the career hopefuls to get their desired Sarkari Naukri. This current affairs daily page is well created by the dedicated team members of recruitment.guru. Make use of Current Affairs April 1.